DooleyBoards Wood Frame Chalkboard features an unfinished solid ash border and a smooth, black surface. Its built-in tray is perfect for storing chalk and erasers. Mounting hardware is included. Its classic style looks great at home or in a classroom. 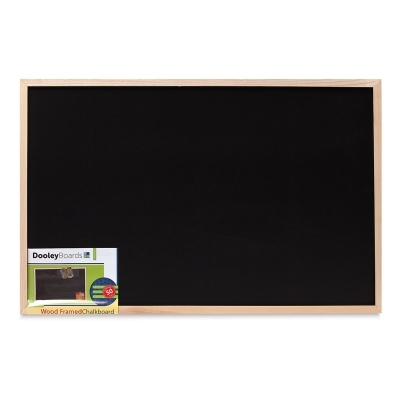 Wood Frame Chalkboard, 23" × 35"